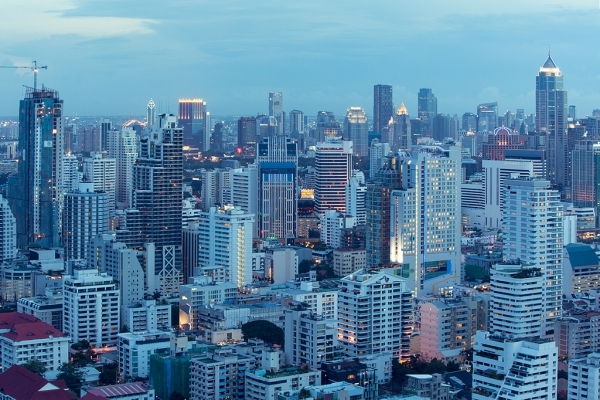 Thailand political turmoil appears to have had relatively little impact on the property market in the current quarter, with most buyers continuing to have their homes delivered and construction still being carried out on time. Pruksa Real Estate president and CEO Thongma Vijitpongpun said the political crisis had not had a great effect to date on the market up to this point. "We believe the property market will show [full-year] growth of less than 5% from last year's level," he said. Although the number of visitors to its residential projects has fallen off to some extent, the company's presales and total revenue remain strong because most buyers who plan to purchase a home in which to live, will still do so regardless of the political situation, he said. "Politics may have had an impact on the speculative market, but it has not done so on real demand," he added. Supalai managing director Atip Bichanond, meanwhile, said its customers had continued to have their homes transferred on time despite all the political uncertainty in the current quarter. While the number of potential new buyers visiting Supalai's residential projects is lower than normal, the company believes this will not negatively affect its financial results in the final quarter, he said. "We have a backlog worth Bt6 billion to transfer in the current quarter," he added. LPN Development managing director Opas Sripayak said the company's construction process had not been affected by the political turbulence, and that on-time delivery to customers was continuing. "The political problems may have some effect on new buyers in the current quarter, but will not impact our financial results for the period, when all our customers have continued to transfer on time," he said. The company is maintaining its total revenue target of Bt15 billion for the year, after posting revenue of Bt10.2 billion and net profit of Bt1.7 billion for the first nine months, Opas added.